Essential oils are the living fluid inside the plant that acts as their immune system. These plant fluids are the regenerating, oxygenating, and immune-strengthening properties of plants. They are necessary for the plant to live and contain vibrational energy that helps to give them therapeutic properties. When these fluids are distilled and extracted using a highly regulated, low-heat, slow-steam process and then used topically, aromatically or internally, they can help bring that vibrational energetic level that is lacking in our bodies back into balance. However, not all essential oils are created equal. I started out by using health food store essential oils thinking that there wasn’t any difference. Oils found at the health food store are usually aromatic-grade oils meant for smelling, not for topical use and definitely not for internal use. Many store bought oils contain additives or synthetics or may have been distilled in a way that doesn’t guarantee a high quality of therapeutic constituents. That’s why it is so important to know where your oils come from, how they are distilled and how they are processed. You definitely get what you pay for. Truly pure & natural quality essential oils do cost more. Cheaper essential oil products that are legally labeled as “100% Pure” are actually only required to have 5% of the essential oil present in their product. When you consider that it takes 22 pounds of rose petals to make a 5mL bottle of Rose oil, you can start to understand why the real thing costs more. WHY DO I USE YOUNG LIVING? YOUNG LIVING ESSENTIAL OILS ARE THE BEST ON THE MARKET. They are the only company to own their own farms and distill their own oils. They use non-GMO seeds, sustainable growing practices, higher than organic growing standards, and they cultivate each plant from start to finish with high standards, high vibrations, and loving intentions. This is their Seed to Seal® Process. And if you’ve followed me here online at all, you’ll know that I believe in working with the plant and land spirits to improve our lives while not harming environment. When plants choose to work together with us, they share their highest vibration so that we can realize the highest potential of their healing medicine. Plants view the distillation of their oils as an opportunity to offer us another gift and another use of their life force. It’s a way for them to live on in another form. Learn more about Seed to Seal here. 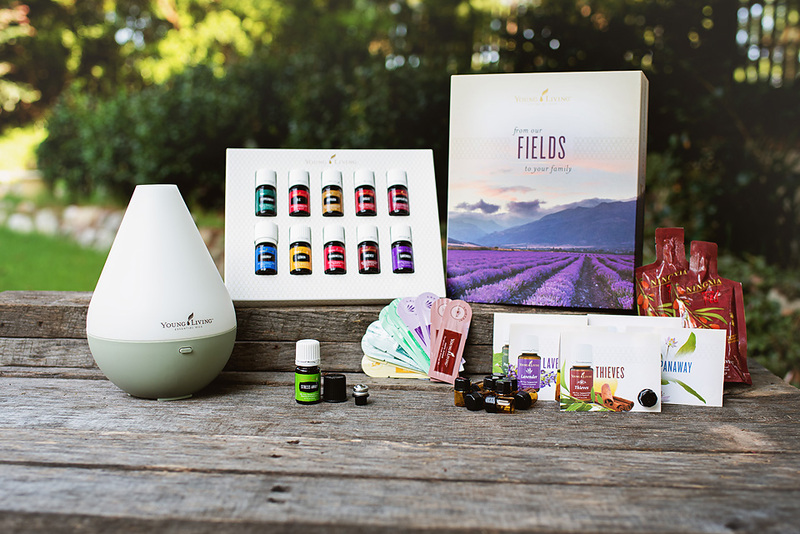 To get started using Young Living Essential Oils I recommend starting with the Premium Starter Kit. 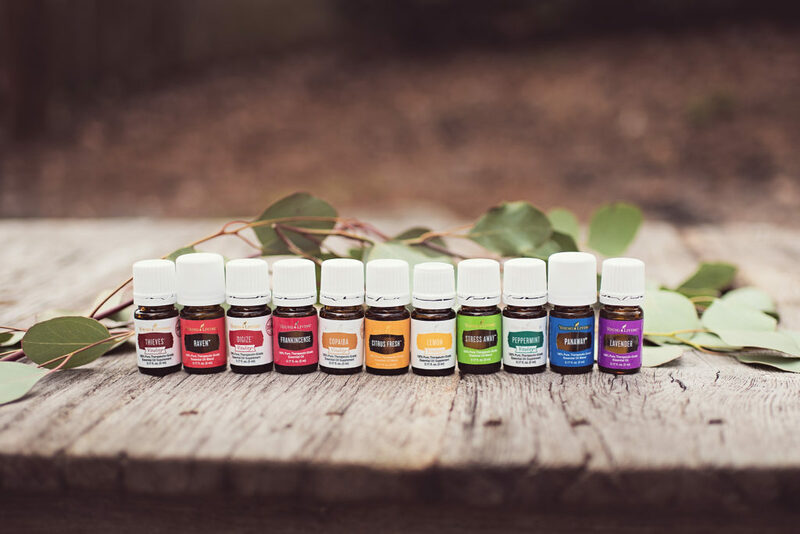 In this kit, you get 12 Everyday Essential Oils which include: Lavender, Peppermint, Lemon, Valor, Frankincense, Thieves, Citrus Fresh, Raven, DiGize, PanAway, Peace & Calming, and Stress Away! You’ll also get your choice of a home diffuser and a Young Living membership which offers a 24% discount off retail pricing for all of your future purchases – all for $165. Once you use and love the oils, you can share them with friends and family to earn back your investment, and potentially earn much more. There’s never a requirement to sell in order to be a member, but the option is always available if you choose to share your love of oils in the future! Have questions? I’m here to help! Send me a note. Yes, I want to try oils!